Cheap Europe - US Flights to Crash Land? Bosses at one of Europe's largest airlines say they are €309 million away from bankruptcy. Norwegian Air, the airline made famous by its €69 flights from Europe to the US, is facing having to shut down all of it's operations worldwide after a potential rescue deal was dropped. International Airlines Group, which owns British Airways, planned to purchase the airline, however it says it won't continue talks with Norwegian and plans to focus on it's own operations. The group hasn't given a reason, however analysts say they have lost confidence in the airline, and believe it would be better for the group to simply let the airline die, which will allow IAG to purchase the airline's assets, such as it's planes and facilities, at knockdown prices. Shares in Norwegian have dropped 60% since April 2018. 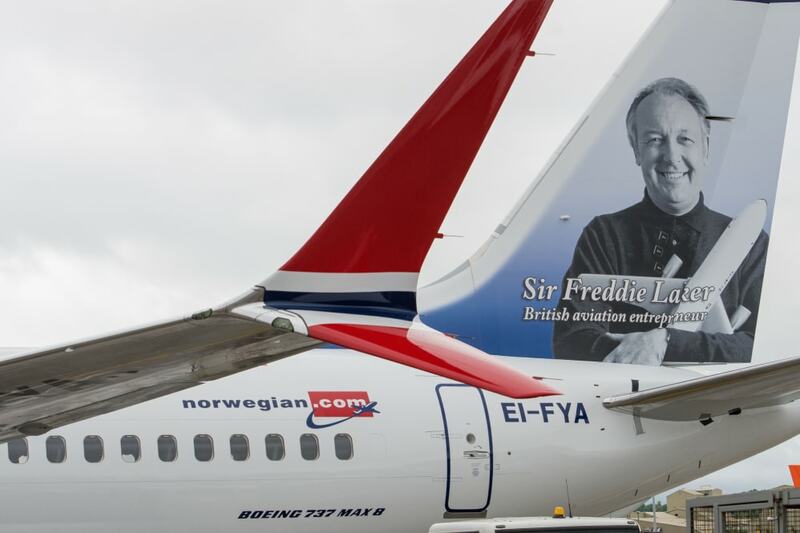 Norwegian chose to honor Sir Freddie Laker, the founder of Laker Airways, which was the world's first low-cost airline. However, it shut down in 1982. Could Norwegian be set to join them? Norwegian has had a mix of bad luck and over-ambition, which has lead to massive debts. It's been around since the 90s, however only came to the public eye in 2001 when it was taken over by Bjorn Kjos. Inspired by Ryanair and easyJet, Kjos turned Norwegian into a low-cost airline, focusing on flying northern Europeans to sunspots in Spain. This proved to be amazingly successful, taking them from 3 to 40 planes in less than 10 years. In 2013, Norwegian decided to tap into a market which has seen their grow soar; cheap flights across the Atlantic Ocean. Using two old Airbus A340s, the airline operated it's first flight from Oslo to New York. Today, it has over 40 brand new Boeing 787s flying to 17 U.S. destinations, as well as a handful of Asian and South American destinations, from 10 European airports. However, this sudden growth hasn't resulted in sudden profits, and combined with several design faults on their Boeing 787s, has left them scrambling for cash. are you a Norwegian passenger? do you think Norwegian will pull through or is this the end? tell us in the comments below! Would be incredibly sad to see Norwegian Air drop off the market. They seem really great, and would be a huge loss to the industry!